August 15, 2018 – Due to his desire to be off the road and with family, Ray Woconish has decided to step down as bass singer for MARK209. Ray has been with MARK209 for 6 years and we know this was a difficult decision for him and he will be missed by his fans. While the group is saddened to see a change, we are excited to see the new chapter God has for us. MARK209 is now accepting applications for their bass position to be filled as soon as possible. Applicants should submit head-shot, resume, and demo to bass@mark209.com. We are looking for a bass vocalist who is excited to push the boundaries of how a music ministry can be used. We sing at everything from prisons to Presidents; casinos to churches and on some of the largest (and smallest) stages in the nation. Vocal range should be from A-flat to middle C, comfortably and consistently. MARK209 is a full-time, professional gospel band based out of Nashville, Tennessee with tours nationwide from Maine to California. MARK209 is based out of Nashville, TN. The band takes their name from Mile Marker 209 in Nashville, which leads to Music Row, The Country Music Hall of Fame, and the Ryman Auditorium. 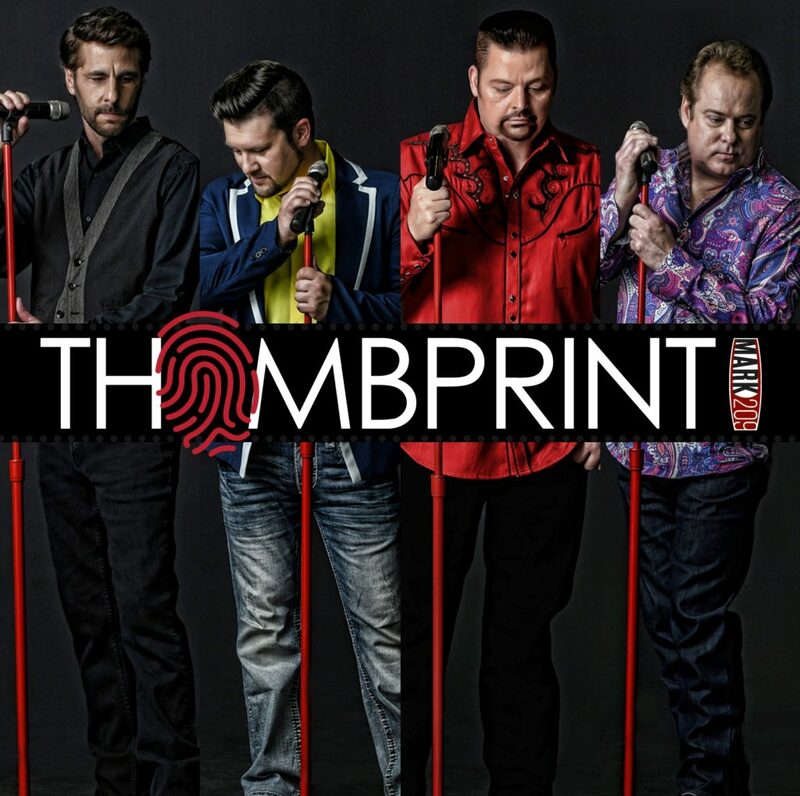 MARK209 entertains audiences across the United States with their brand of Gospel, their Family Friendly Country Concert, and their popular Christmas show “Christmas from the Heart of Nashville.” Proudly sponsored by Sound Solutions (Oxford, AL). 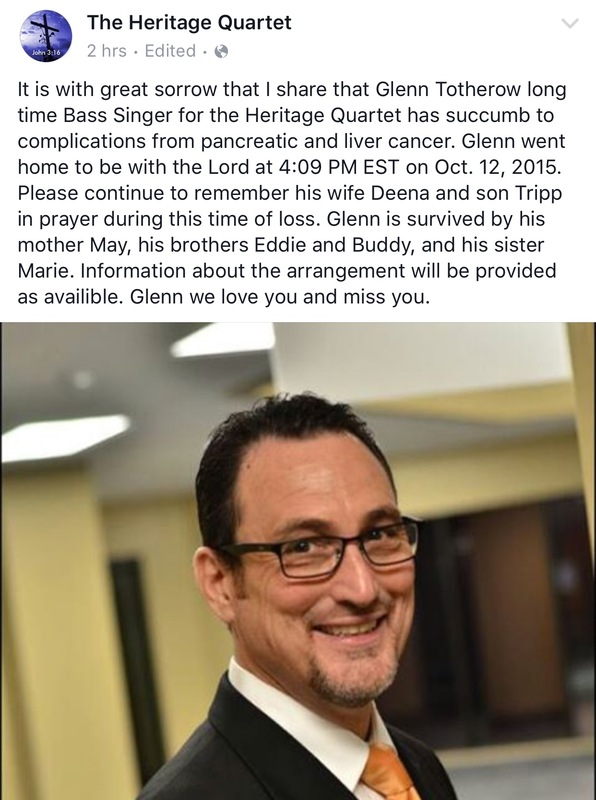 We at SGN Scoops send our condolences to The Heritage Quartet and Glenn’s family. Praying for you! Please Pray for Glenn Totherow from The Heritage Quartet. 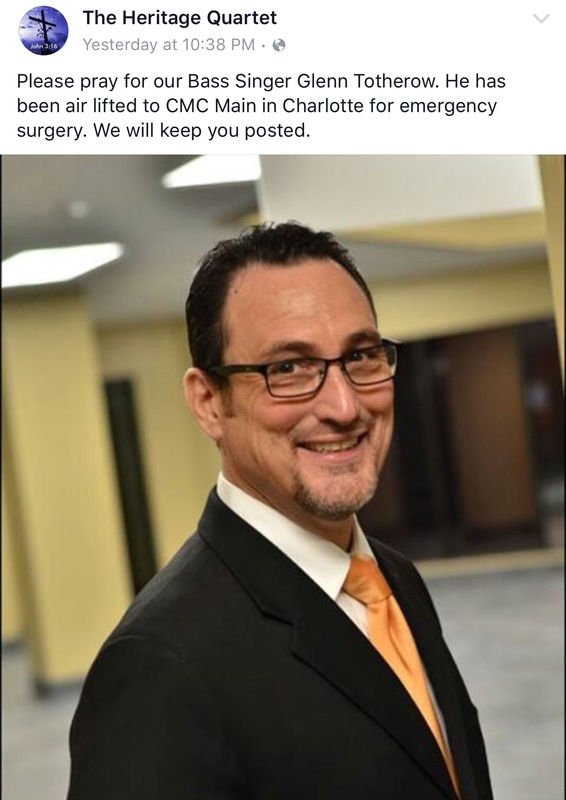 He was airlifted for emergency surgery last night per facebook post. Pray for Glenn and share with your prayer lists.